The Federal Theatre Presents Elmer Rice S Judgement Day First Time In San Diego. 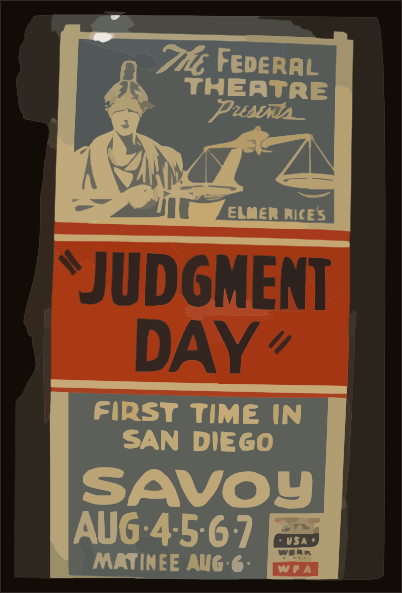 The Federal Theatre presents Elmer Rice's "Judgement day" First time in San Diego. The Federal Theatre Presents I Want A Policeman By Rufus King & Milton Lazarus Fastest Moving Comedy Of The Season : First Time In San Diego.